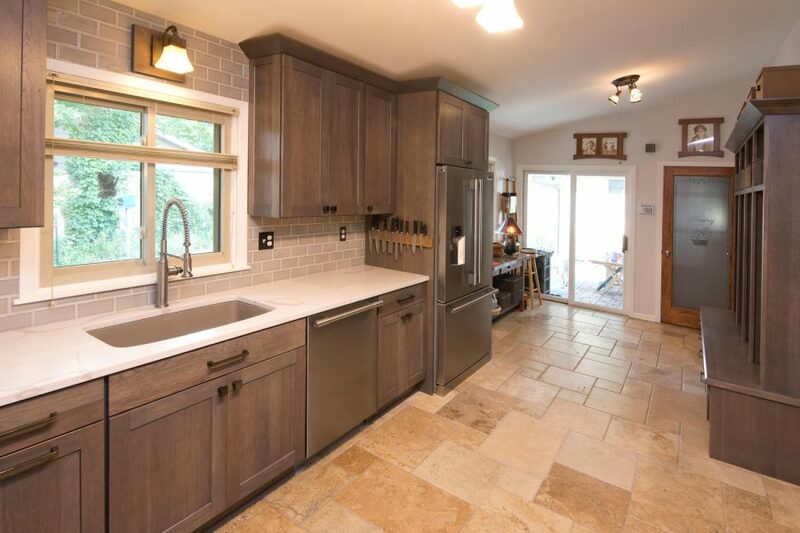 The owners of this Burnsville Minnesota rambler faced a significant design challenge: their kitchen was long, narrow, and boxed in by a dining room or mudroom on each end. 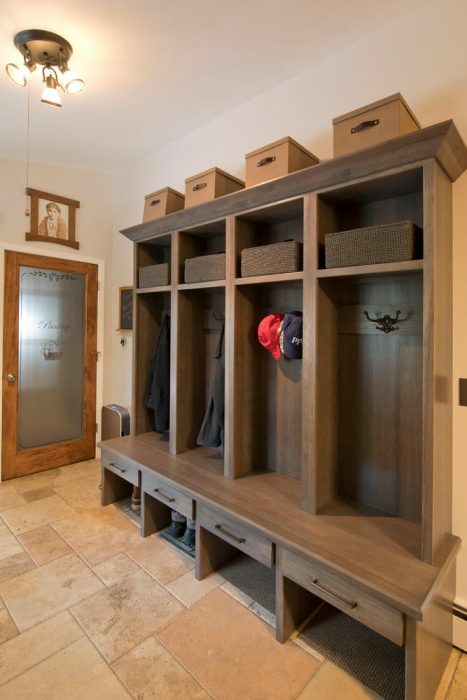 They worked with our designer Carly, who was ready to help them update their space and maximize their available square footage and storage! Carly’s two biggest remodeling hurdles to overcome were working around the home’s baseboard heaters and a preexisting brick wall. 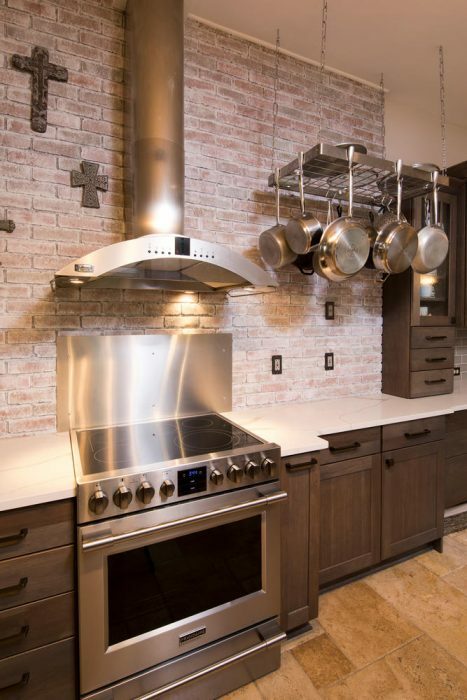 She decided to incorporate the brick wall into the final design by coordinating the color with her tile selection. 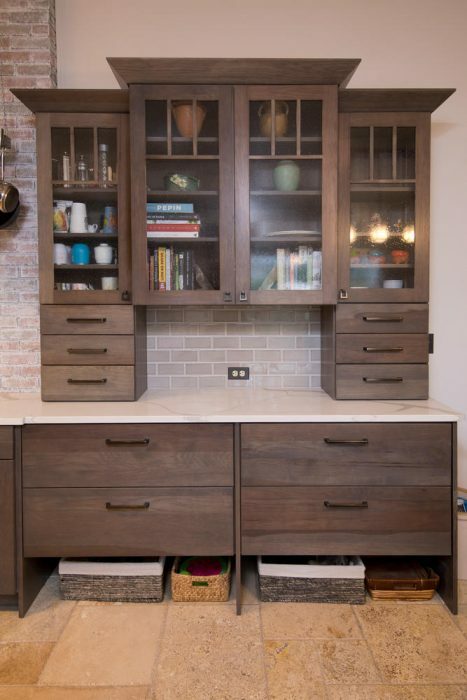 As far as the heaters went, Carly used floating drawers and end panels that kept airflow open and created a unique look. 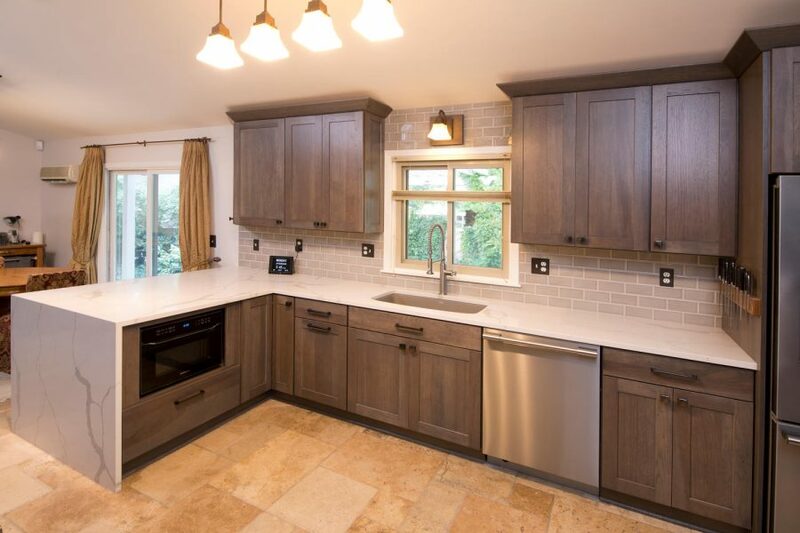 We love how original, trendy, and tasteful this kitchen feels – not to mention, it’s also spacious and brimming with storage! 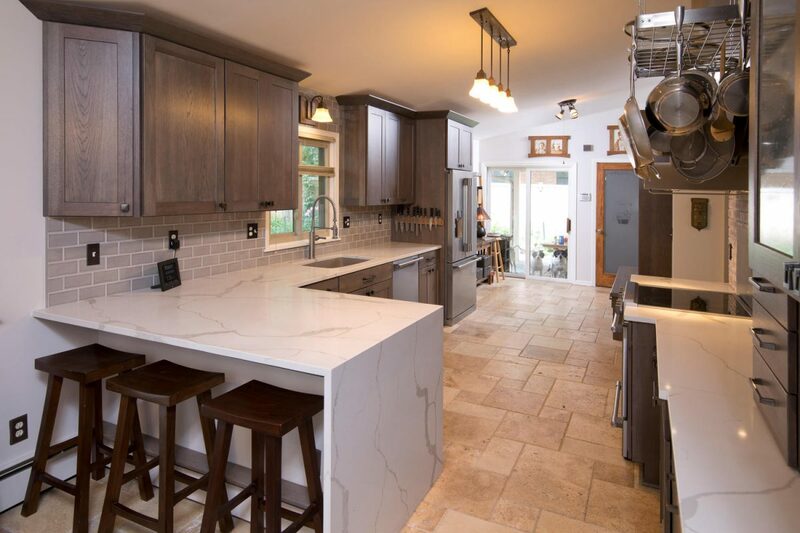 Carly’s favorite features are the warm grey cabinetry color, the elegant marble countertops (and that waterfall barstool area! ), and the simple but sophisticated tile choice. These lovely homeowners certainly do have beautiful taste! 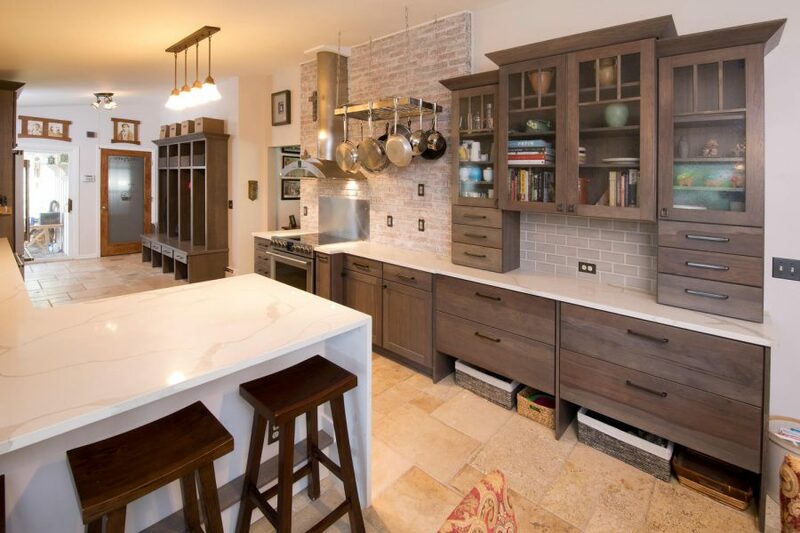 Scroll below to see more photos, design elements, and features from this fantastic remodel. Want to know more about working with our design team? Please, get in touch with us, we’d love to chat!